The content on a website includes not only plain text and links to other web pages or websites. Most likely, you will see images and be able to download various files such as PDF documents or ZIP archives by clicking links. You may also see Flash animations. With the advance of web technologies and popularity of YouTube and the like, quite a few websites embed different types of streaming video in its web pages. All this is media, and you will certainly use it to enrich the content of your web pages. 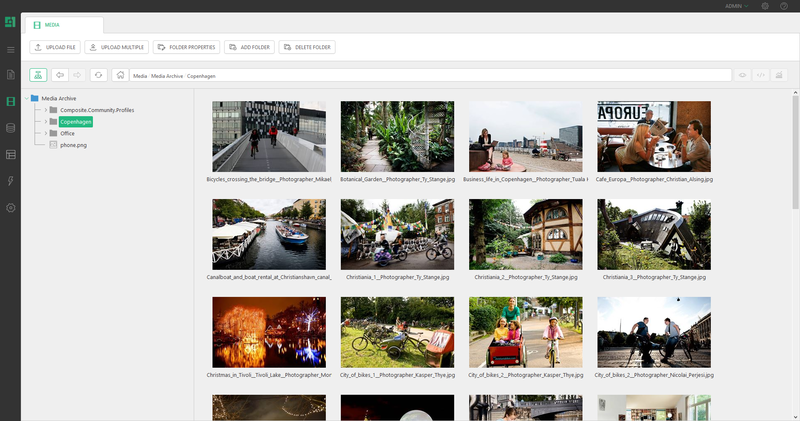 For this purpose, C1 CMS has a perspective called "Media" where you upload all your media files either one by one or in a ZIP archive. It consists of the Media archive, which displays all the uploaded media files that can be used when you are editing pages from the Visual Editor. Once your files have been uploaded to the archive, read on for instructions on how to insert an image and insert a Flash movie.